Newsletter Editor Janet O’Neil met with EMC experts from China in Austin, including Gou Lin of TMC, Dr. Lu Tiebing of China North Electric Power University, and Prof. Jing Liang He of Tsinghua University (from left). Kefeng Liu (far right) of ETS-Lindgren joined in on the networking during the Symposium reception. Professor He is the Symposium President for the upcoming Asia-Pacific Symposium on EMC in Beijing as well as the secretary for the Society’s Standards Education & Training Committee (SETCom); he is one busy person! That familiar phrase certainly proved to be true during the 2009 IEEE International Symposium on EMC in Austin, Texas. From the oversize hotel rooms to huge convention center, from the outstanding depth of the technical program to the over the top fun of the social events, it was a memorable Symposium in the city known as the “Live Music Capital of the World” – which, by the way, was evident in the exhibit hall with the stellar musical performances by many Symposium attendees. Who knew our fellow EMC colleagues were so talented? This issue of the Newsletter is dedicated to a review of the Symposium activities. If you missed the EMC 2009 Symposium, you can catch up on what you missed by reading the President’s Message as well as the articles on the Standards, Education, and iNARTE committee and workshop activity, the demonstrations and experiments presented, the Global EMC University and Youth Program offered, and, most importantly, the EMC Society Awards issued at the annual Awards Luncheon. You also won’t want to miss seeing the pictorial review with numerous Symposium photos. Also, be sure to read about the NEW EMC Society Respected Speakers Bureau (RSB) launched at the Symposium. Bruce Archambeault, Chair of the Society’s Technical Advisory Committee (TAC), spearheaded this effort to build a base of excellent speakers for the Chapters and Sections. If a Chapter or Section needs an expert speaker on a particular topic, the RSB is a valuable resource. 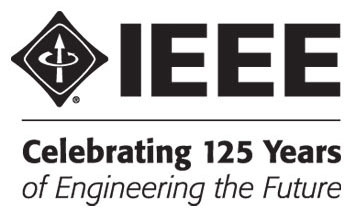 This issue also concludes the series of publishing the top ten most referenced papers in the 50 year history of the IEEE Transactions on EMC. Dan Hoolihan has coordinated this effort and this last paper is surely one well known by members of the EMC Society. Published in 1982, the topic of the calculation of site attenuation from antenna factors continues to be of great importance today. Before you get started reading about the EMC 2009 Symposium, I’d like to call to your attention some changes in our Newsletter staff. After many years of ably handling the book reviews, Ray Perez has stepped down. Antonio Orlandi is our new associate editor for Book Reviews. Many thanks are due to Ray for his years of dedication to this column. Welcome to Antonio and our thanks for his enthusiasm in taking on this role. Also, Bob Davis has stepped down from his role as the associate editor for the Completed Careers column. Don Heirman has graciously offered to fill this role on an interim basis until a long term replacement is assigned. Our thanks go to Bob as well for launching this new committee and column, and to Don for managing it in the short term. In our last issue, Summer 2009, my letter featured a riddle about an “unidentified apparatus.” Imagine my surprise when I received an email from a reader who not only knew what the apparatus was, but had one! Many thanks to Sergio Pignari, the EMC Society Italy Chapter chair, and professor at the Politecnico di Milano, Italy, for providing the wonderful article on the unidentified apparatus found on page 103. I also appreciate hearing from Michel Mardiguian with suggestions on what it could possibly be. Now we know! Since our readers like riddles, in this issue we’ve included an unusual photo of an accomplished EMC musician with the many instruments he plays. This was on display at the Austin Symposium. Check it out to see if you can find the items missing in the second photo. How observant are you?